As job-search season approaches, the topic of salary can often be a touchy one. 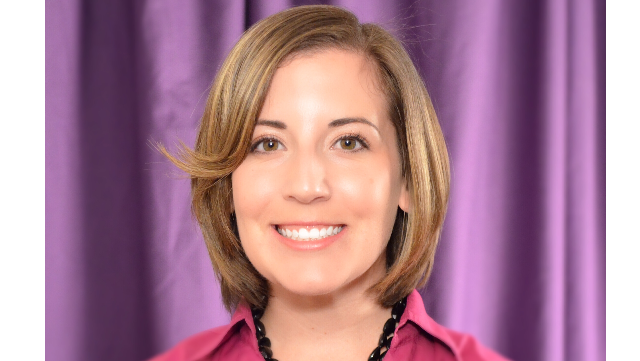 Stephanie Tomlinson, executive assistant to the Board of Supervisors at Louisiana State University, recently found her calling as an advocate and trainer for women's negotiation. Here, she discusses how she got her start, some of the stigma associated with asking for more and how you can get started if you're ready to negotiate a new or upcoming offer. You've discovered a calling for helping women negotiate, for helping them to articulate their worth in the marketplace. Is this something you could have seen yourself doing when you were younger? Were there hints as you grew up? When I was a kid, I wanted to be president. I would actively campaign in elementary school to make sure people would remember my name and could vote for me years later. I think I've always had that advocacy part of me: “I know I have a voice; I know when I talk, people listen.” The other thing was, I always told my mom I wanted to be a lawyer because I like to argue (laughs). In that, I don't think much has changed. I don't love conflict—I'd be insane if I loved conflict—but I enjoy the process of conflict because I see how beneficial it is in the long run in relationships with people and what can be created out of [conflict]. I like getting in the nitty-gritty with people. I like advocating for them. It just makes sense now, when I look back. I'm that person who if you say you want to do something, I'll say, “Do it!” Especially when it comes to money. It was only a couple years ago that I realized, “I'm telling myself no. And that's stupid! I should let other people tell me no.” Women especially tell themselves no; I made a vow to myself that I would stop. What led you to decide that this was such an important skill? Like I said, getting an extra $1,000 for most people is not motivation enough to ask. But when I show them that the extra $1,000 means an extra $100 per year in your retirement account, just showing people the math of the long run and why you would ask, that was when it clicked in my head. How did you learn it? What strategies do you employ to teach it to others? I started career coaching in April of 2015. It's funny, as you coach people and they get to the job-offer stage, I realized that's when I got really excited. For me, it's a combination of things. It's research. When you've done thorough research on all sides of something, and you're empowered with that knowledge, it makes it more comfortable to ask. If you work in the public sector, most salaries are public record. You can see what [people] made. Going with that information can get you thinking, “I can negotiate this.” There's Glassdoor that can give you a range [and] the Salary Report on Payscale that can tell you where your offer falls. There are so many resources. The other thing is empowering them to have the conversation. My husband works in a male-dominated field, in industrial sales, and they just don't worry about it! I see this a lot in women. We overthink it. We wonder, “What are the precise words? What if they say this? What if they say that?” If you're striving for perfection in that conversation, you're never going to have [it]. I try to coach people to just ask. Ask if the salary is negotiable. If you can get the words out of your mouth, listen to what they have to say and be quiet, that's already a step in the right direction. You never know how someone will respond. Just ask. [B]e as loving and listening as you can in that space because it can be uncomfortable. There are studies that caution potential female negotiators, lest their willingness to ask be framed as aggressive or presumptuous. Have any clients voiced that concern to you, and how do you address it? There's a deeper reason than just money to negotiate. And that is to get a sense of who you're about to be working with. There are multiple things that can happen in a negotiation. It doesn't go very well. It's very uncomfortable. They don't give you any more money, and they're put off by [your asking]. For me, that's a giant red flag that it may not be the right place for you to work, or you may need to move on if it's a performance evaluation. You want to work where you're valued, where you can have a conversation about your value without being seen as this aggressive person. I find that the response that people give you in a negotiation tells you a lot about them; it's something you should trust. If someone thinks that you come off as aggressive, you may not want to work there. That may be another reason that women appear to be losing in this negotiation thing, especially in the job search: everything is like being in the honeymoon phase of dating. But when you get into negotiation of the offer, that gets you into some of that rocky territory that lets you test [potential employers] a little bit before you accept. In the rest of the process, there's not much testing, especially if they like you. When you get to present a little bit of conflict, you see people's true colors. Trust that. When you're trying to advocate for students or for a budget, is this how [employers] handle conflict? This may tell you something about the values and structure of the organization. I want to work with someone who can handle this professionally [and] show that they're trying. But it's scary. It's all scary! For those working to overcome fear of negotiation, what's the first step you'd recommend they take? Start with little things. If you're shopping and you're at a register, ask if they have coupons. There are so many places that keep coupons at the register. If you ask, they'll just scan it. Start thinking about things you can ask for. Look at your schedule. Look for small things that are on there that you don't want to do, and say “no” to them. Start saying no. I equate it to a muscle. Negotiation is a muscle. If you're not accustomed to negotiation, and saying no, and haggling, start with low-risk chances. Start with shopping, [and things] you do already. It gets you used to it. If they say no, you'll just pay full price, which you were going to pay anyway. You can ask; sometimes the answer is “yes.” It's just that easy. Start small and then build up to bigger things. When it gets to bigger things in your job like salary, you've already exercised that muscle.